Recessed - In Smith & Wesson parlance, a revolver cylinder whose chambers have been counterbored to accept the cartridge's rims---the base of the cartridges then resting flush with the rear of the cylinder. In later guns, the expense of counterboring the chambers has largely been deleted. 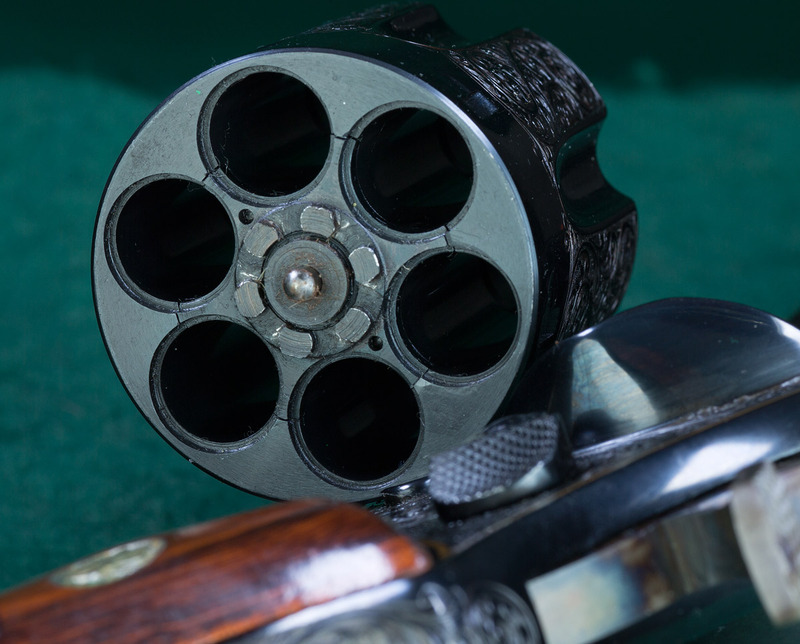 All other things being equal, most people would rather have a revolver with recessed chambers.